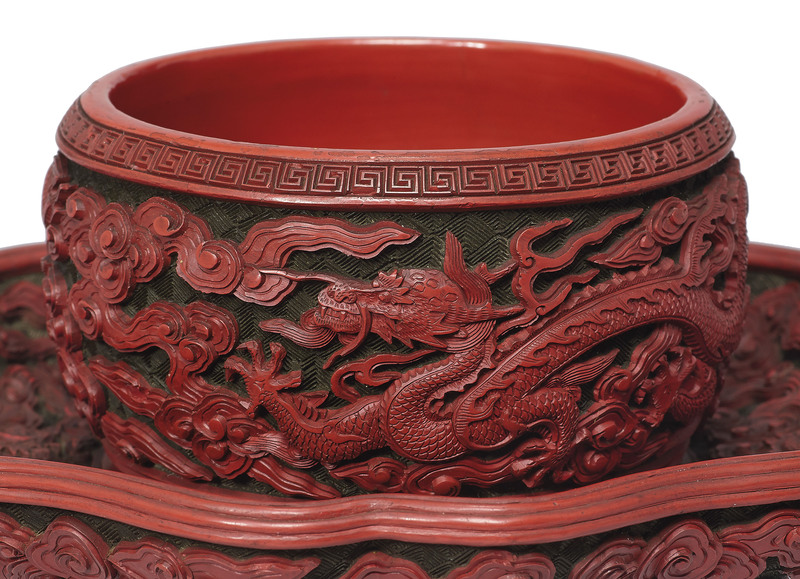 The bowl is carved through the thick lacquer on the exterior with five dragons frolicking amongst ruyi clouds. The interior is lined with gilt-bronze. The bowl stand is also carved to the top of the bracket lobed tray and to the rounded body with five-clawed dragons flying amidst ruyi-shaped clouds. The underside of the tray and the splayed foot are further carved with scrolling ruyi clouds. 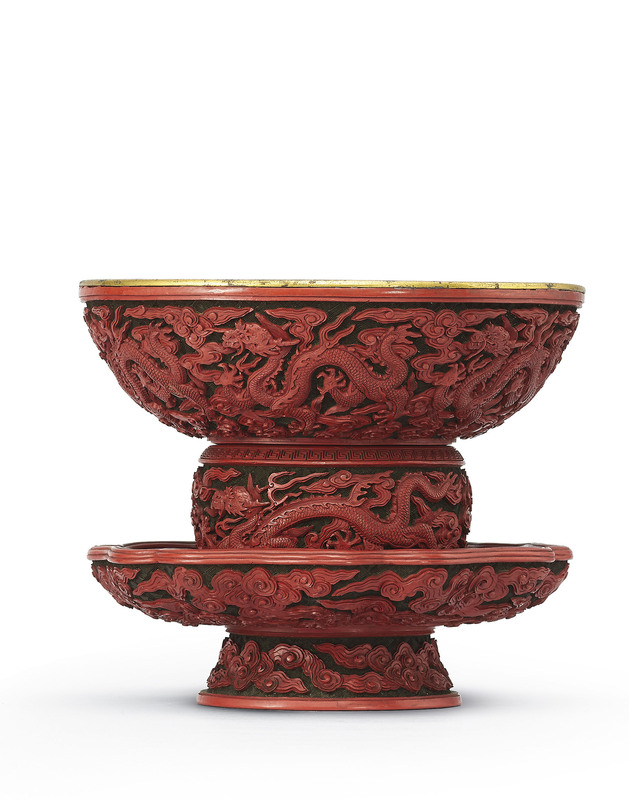 Extant lacquer bowl and bowl stands from the Qianlong period are very rare. Compare the shape and the carving of the dragons and cloud scrolls on the present example with a Qianlong-marked bowl and stand in the Palace Museum, Beijing, illustrated in Lacquer Wares of the Qing Dynasty, The Complete Collection of Treasures of the Palace Museum, Hong Kong, 2006, p.21, no. 12.